This past week I happened to see the video clip of President Bush and the rescue workers standing on top of the rubble in downtown Manhatten a few days after 9/11. 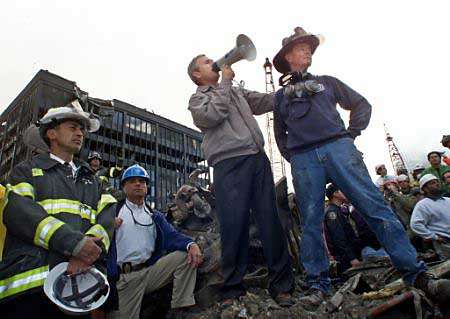 The president was speaking through a bull horn and someone in the crowd yelled out, “George, we can’t hear you.” And President Bush famously responded, “I can hear you, the rest of the world hears you, and the people who knocked these buildings down will hear all of us soon.” It was a powerful, spontaneous moment that served to rally the country together in the horror of that experience. Those were days when it was hard to make sense of what had happened and the country wondered what we should do. We were fearful. We were angry. We were determined. We were cautious. We were eager for justice. We worried about what was next. 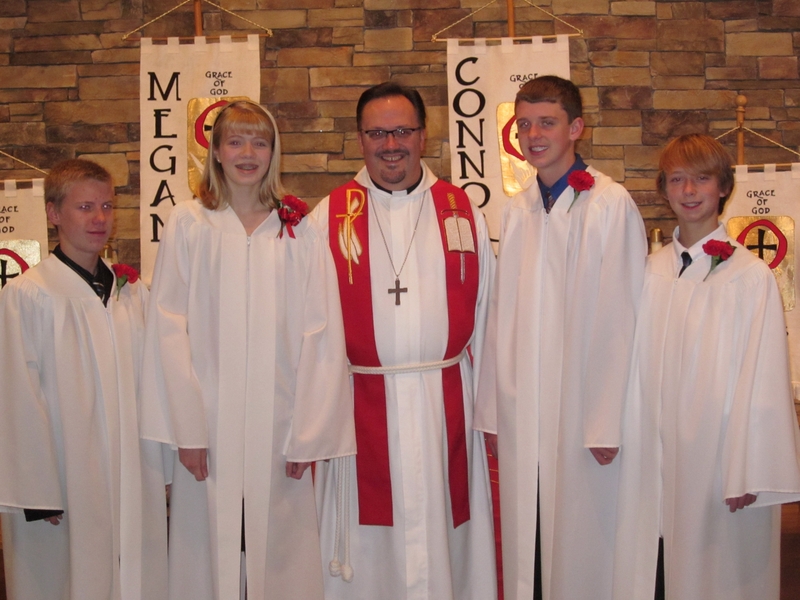 A Sunday School teacher asked the children in her class about what it took to become a saint. “If I sold my house, my car, had a big garage sale and gave all that money to the poor, would that make me a saint?” she asked. Well, if I was nice to everyone and loved everyone and did good things for everyone, would that make me a saint? “No,” again the children answered. Okay, what if I walked around and performed miracles for people like making them well when they are sick, would that make me a saint?